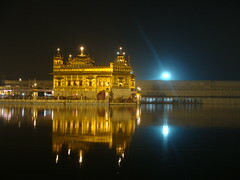 Golden Temple, originally uploaded by iamshishir. Have been experimenting with a few new tech tools to better manage my photo collections, social networks and blogs. This is one attempt to start blogging via mobile & email. If this works well, I could be microblogging a bit more during my travel time !